Today you can Google almost any topic and find a million blogs, articles, and personal testimonies about any given subject. Researching how to stage a home is no different. And, if you do read any of these blogs, Pinterest pins, or DIY-er testimonies, you will ultimately find the same basic pointers and tips. 1. Declutter. 2. Make it light and bright. 3. Remove personal artifacts, etc, etc. However, none of these basic tips are really enough to effectively “stage to sell”. And why would they be? Why would a bonafide stager give you all the secrets and tricks of the trade? And, even if they did, the fact is it wouldn’t really matter because the average homeowner isn’t able to see past their own style and setup to effectively stage a home. Bottom line: you need a professional. Someone who has been trained to market your home and not your possessions. For example, in any home in America you will find the living room set up to capitalize on the television. But this furniture configuration isn’t what helps sell the layout of the space. A trained and experienced stager has worked with a multitude of home layouts and knows what will work in each area to sell and maximize that space. It’s important to remember we live and sell in two different ways. Of course, it’s always important to clean and tidy before a showing, but a stager helps you showcase the best side of your home, highlighting its assets in a way that you may not even have envisioned yourself. The first step in marketing your property is getting your home to look fabulous; make it look like a model home. By staging your home to look more like a model and less like yours you enable a potential buyer to envision themselves living in the home. Staging means more than removing some pictures and cutting down on how many things are hanging in your closet. A professional stager and designer can look at your space and your possessions with a fresh set of eyes and will be able to see things you, the homeowner, simply can’t. Perhaps a chair that is in your living room would really add value in the master bedroom. Or the kitchen table better complements the space and square footage if adjusted 90 degrees. A vibrant accent wall that you love dearly may turn off potential buyers. A professional stager can look at what you have and repurpose some of the items to better suit, and thus sell, the home. A stager will use your items to help market your space and capitalize on the specific details that will help sell your home. The next step in marketing your home is having professional pictures to truly showcase the home and the home’s features. A stager knows what will photograph well and can help you better prepare for the photographer. That way, the house will photograph beautifully, enabling the agent to better market the home. 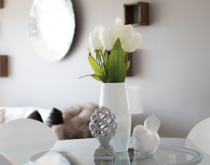 A stager will help you arrange items in the home so that the images will highlight the selling features and minimize or hide any potential distractions. In this day and age, almost all home searches start online so having great pictures is key. Better marketing means a quicker sale which means more money in your pocket! When you are getting ready to sell your home you need someone who is going to truly set up your home for success. Someone who will use all avenues to help maximize the marketing of your home. This is why we hire professionals to help prepare your home to be listed. We include professional staging consultations and photography with every home we sell at no additional cost to the seller. We believe that it’s imperative for every home look its absolute best when listed, and that’s why we stop at nothing to ensure that sellers always feel that they’re putting one of their most prized possessions- their home- into our hands. 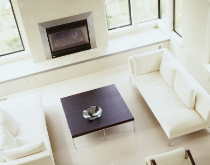 We work with Knoxville Staging Services, a local home staging company. Ida has numerous years of experience, and can walk into almost any home and know on the spot what to do to enhance the visual appearance of the home. If you’ve been thinking about selling your home now is a great time. We offer our clients access to professional stagers and photographers at no additional cost. We’d love to talk details. Call us today!